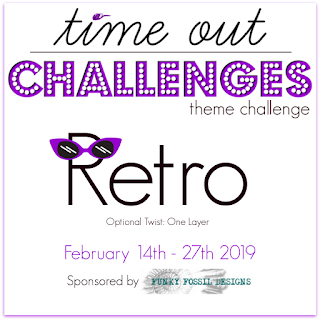 I'm so excited to be guest designing on the Time Out Challenge blog this month. The challenge for the next two week is "Reto" with the optional twist of "One Layer." This challenge is sponsored by Sarah Gray's online shop Funky Fossil Designs. The winner will receive 3 stencils from her store. One layer isn't easy for me, but I think I came pretty close on this one! Since I knew this card would post on Valentine's Day - I couldn't resist adding a few tiny red hearts to one of my typewriters. I love EVERYTHING about this card!! SO fun and perfectly retro! Such a beautiful retro card. Love the colour combo and wonderful image. Thank you for sharing with us at Creative Inspirations, good luck. What a clever design!! 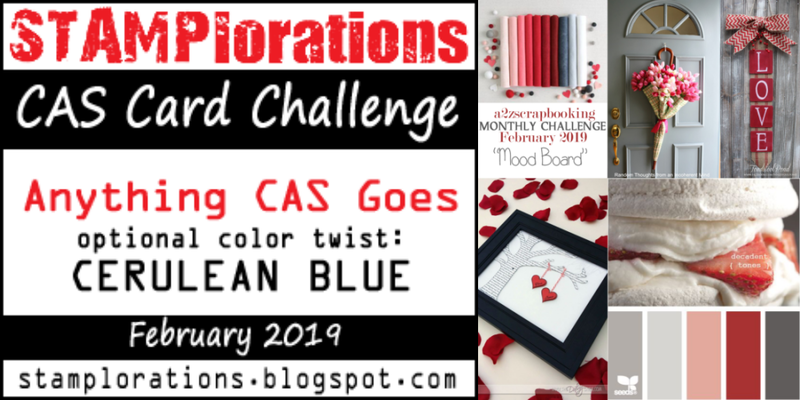 Thanks for joining our February challenge at a2z. This is wonderful, Esther! I love those retro typewriters, and that pop of red on the middle one! The spatters and the stitching lines add so much dimension. The distressed edges are the perfect finish. It has been a joy to have you designing with us for this challenge! Thanks for joining us and contributing such great art! Wow, this is fabulous. I really love those old fashioned typewriters, and the 3 little hearts are a great touch. Thanks so much for being our Guest Designer at Time Out. congrats on your guest design spot, I love your vintage typewriters and the hearts are perfect for Valentines day! the splatters give it a great touch! I don't remember using typewriters this old, but I do remember using a manual one! This is so cute! I love the hearts! 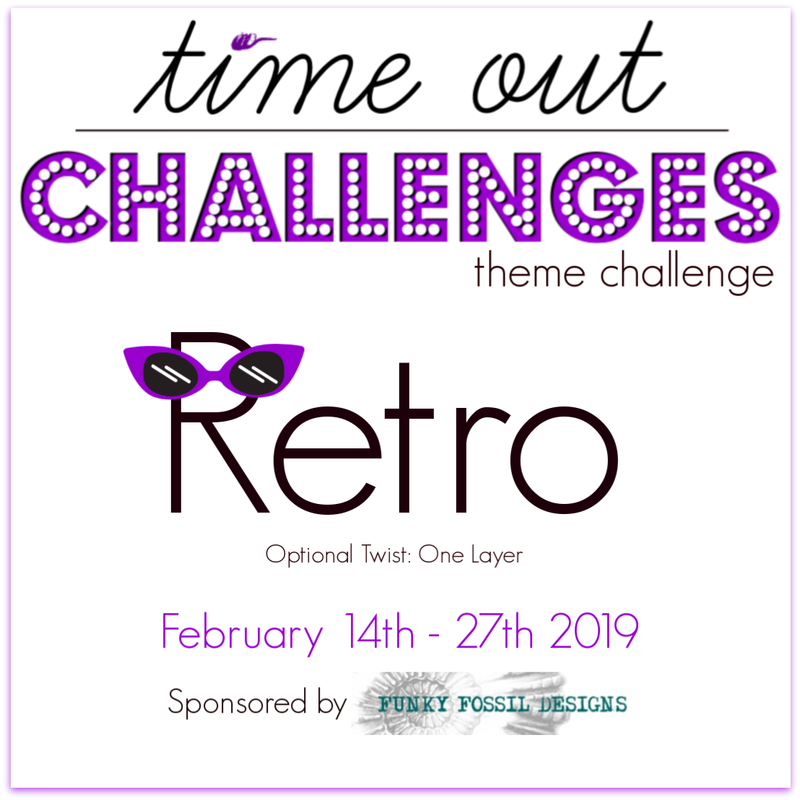 Thanks for guesting with Time Out for this challenge! I love the red hearts on that typewriter. So glad you joined us at A2Z Scrapbooking. That typewriter is SO COOL!! Love the three hearts and your distressing! What a great looking card! Everything just goes together so well! Thanks for joining in over at a2z Scrapbooking. 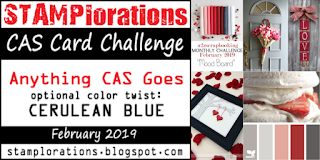 Sorry to be so late stopping by - but I wanted to thank you for bringing us such amazing inspiration as our Guest Designer for this challenge - and for commenting on so many of the entries, as well! I love this card - the typewriters are definitely retro and I love the way those red hearts pop against the black and white design! Wonderful card!